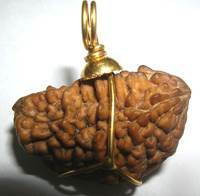 This is one of the most powerful Mala made by combining Rudraksh beads of 1 mukhi in centre, Gauri Shanker, two beads of 2 Mukhi to 11 Mukhi of highest quality and collector grade from Nepal. This high power mala provides wearer the blessings of eleven forms of Lord Shiva with abundance in wealth, good health, spirituality and fulfillment of desires. 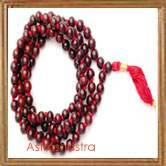 This mala is very effective for enhancing luck of the wearer. 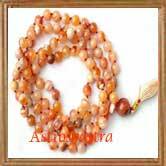 All the beads are highly energized and carefully selected, making powerful mala for a multi-disciplined approach. This energized mala has the power of beads from one Mukhi to eleven Mukhi along with Gauri Shanker Rudraksh. 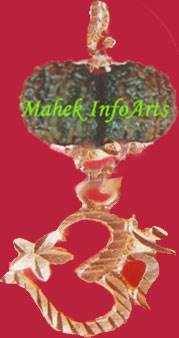 According to Dharm Shastras, wearer of this siddh mala is freed from sins of eleven births, diseases and sickness. This is very effective for controlling blood pressure, heart problems and Diabetes. Energised Rudra Kanth Mala helps realise dreams and fight against dreaded disease. Should be worn by people wanting to live healthy and lucky life. It is an extremely blessed mala and provides protection against many evils and perils.